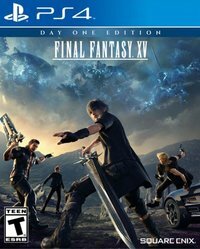 Final Fantasy XV is coming to PC in early 2018 in an experience that Square Enix promise will be the "ultimate quality". The announcement of the previously openly-discussed PC port of the game took place at an Nvidia event running up to Gamescom 2017 in Germany, with Nvidia acting as a key partner for this new release of FF15. The partnership with Nvidia was formed to cooperate with Square Enix on working with their in-house game engine, Luminous Studio, with their tools and libraries being available for the FFXV dev team to take advantage of and deliver the ultimate version of the game they've envisioned. As a result, Final Fantasy XV: Windows Edition possesses the most advanced visual effects making it, as Nvidia claimed, the most beautiful open-world ever made so far. The Nvidia team elaborated in their website on how they made it happen with their various technologies. They have some beautiful 4k screens in the site as well that you might wanna check, since they would be all compressed here. We thought FFXV was good but flawed back when it launched late last year. The game has already been drastically improved by patches, but the idea of a hitch-free version on a powerhouse PC is attractive indeed. The game will launch in early 2018, and is set to be released on Steam, the Windows 10 Store and EA's Origin service.